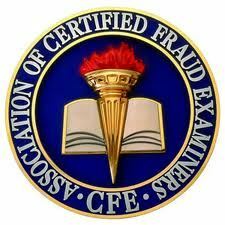 The ACFE is the world's largest anti-fraud organization and premier provider of anti-fraud training and education. Together with more than 75,000 members, the ACFE is reducing business fraud worldwide and inspiring public confidence in the integrity and objectivity within the profession. Click here to visit the National Association website and learn more about the Association of Certified Fraud Examiners. The Houston Area ACFE Chapter was chartered in September 1989 through the efforts of several founding members. On September 6, 1989, twenty-four Houston CFEs met to form a local chapter of the Association of Certified Fraud Examiners (ACFE). A petition was formed, signed and application submitted to the ACFE. Also formed was a nominating committee to prepare for a slate of officers. The next agreed to meeting was scheduled for October 3, 1989 to elect officers and start the new business of this chapter. To develop a mechanism by which the Houston Area Chapter can fulfill a critical need for community service. To promote Member-to-Member interaction at its regular meetings --- sharing experiences that provide mutual help. To maintain a membership directory that can be used, in part, as a clearinghouse for information. To contribute to the common body of knowledge in four field Investigation of fraud, legal elements of fraud, criminology and ethics for fraud examiners, and fraudulent financial transactions and fraud schemes. To provide basic fraud examination education, that covers the four fields in the common body of knowledge. Over the past 20 years, numerous CFEs, Associate Members, and volunteers have helped the chapter grow and have contributed tirelessly to helping the chapter achieve its original mission. In 2009, 20 years after the Houston Area ACFE Chapter began its mission, past President's of the chapter were honored with James D. Ratley, the Chairman of the ACFE presiding.